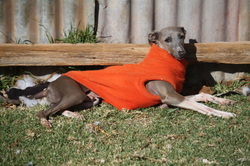 Capri was my first stud dog, and I thank Claire Needham from Shantiah Kennels for allowing him to join us. 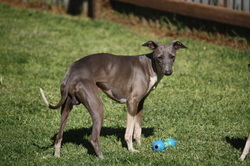 Capri is a very sweet natured affectionate happy little man who loves to play with the other igs and race madly around the backyard. He is an old hand in the show ring and knows exactly what is expected of him. Capri is quite eccentric and thinks he is a mountain goat. He climbs the fences between the dog yards regularly just for fun, and he gets along with all other dogs both large and small. 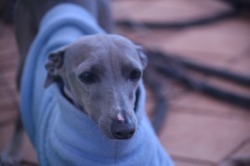 Capri has the sweetest temperament which he has passed on to the majority of his puppies, including Venus his daughter. 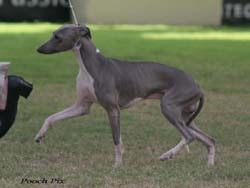 He is a loyal affectionate and gentle boy who embodies the IG temperarment and character.